Since several weeks I noticed that when downloading files from the internet, after clicking a file to download – it took up to a minute before the “Open/Save/Cancel” golden bar appeared. Very frustrating if you quickly want to download something. 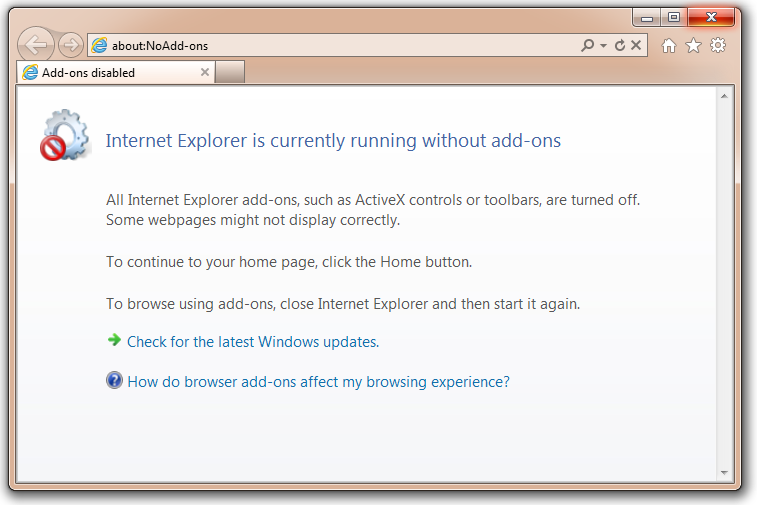 Shortly after capturing the events I initiated a download in Internet Explorer 9, just after the download dialog to appear I stopped capturing events. As you can see in the picture above, Internet Explorer was trying to reach my Mediacenter PC. The default download folder for IE9 is a folder on my local drive, therefore I was wondering why IE9 was looking in places I – probably – previously downloaded files to. A quick search through the Windows Registry didn’t reveal this information to be stored anywhere. 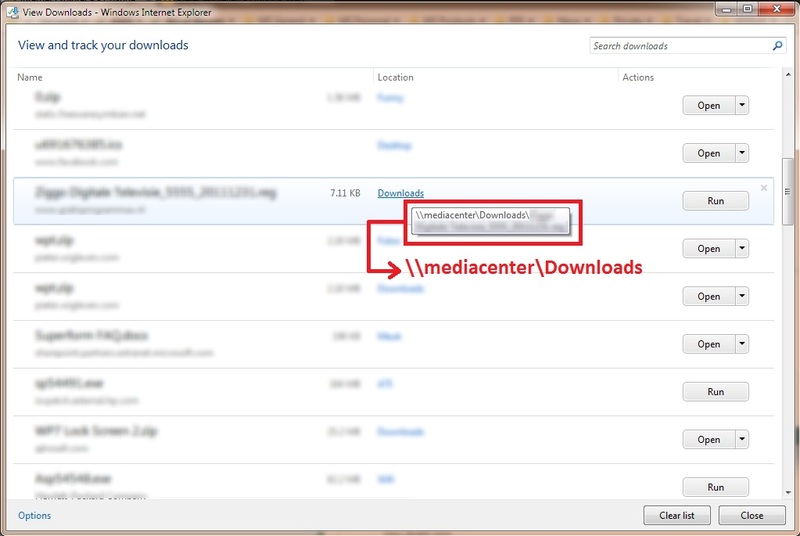 That’s when I had a look in the “Download History” in IE9, you can access this by hitting CTRL-J. In my case it took another 54 seconds before the download history dialog to appear. This is where I could see the references to my Mediacenter PC. After clearing the list I tested the download functionality and this time it the golden bar would appear immediately. Thanks to Procmon we now know that IE9 tries to reach to previous download locations, including UNC locations to unreachable machines. Another case closed thanks to Procmon. This entry was published on Tuesday, January 17th, 2012 at 13:55	and is categorized under 7, Windows. You can follow any responses to this entry through the magic of RSS 2.0. You can also leave a response, or trackback from your own site. This has been driving me crazy for quite a while and I have tried several times to search for a solution without luck. Thank you Pieter and your golden bar! Thanks Pieter. Procmon does it again! I had a UNC path in the name from another server that requires additional authentication to reach. It got so bad I couldn’t even get the golden bar to come up until I would open the download history myself. I have been looking for a fix for this for so long. It’s just amazing how simple the fix is once you find it. Thanks a million.